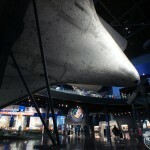 The latest exhibit at the Kennedy Space Center is the Space Shuttle Atlantis building. 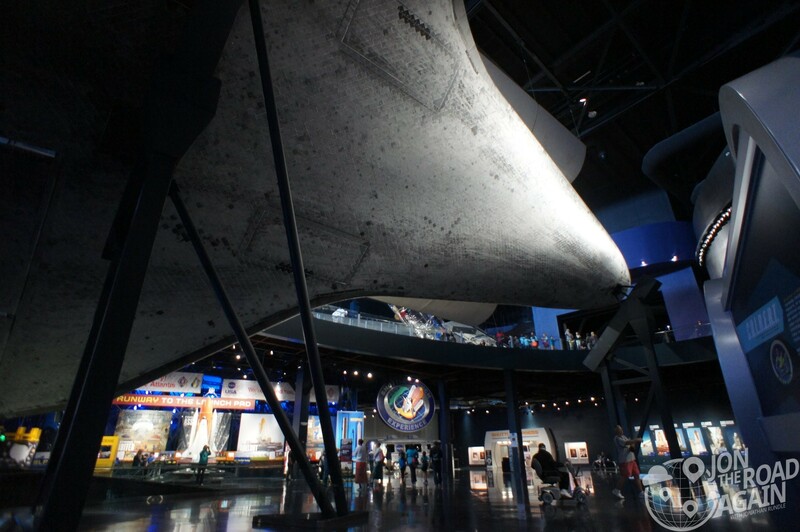 After a short movie chronicling the history of Atlantis, the doors dramatically open to reveal the orbiter – resting, doors open – on an angle so you can see into the cargo bay. 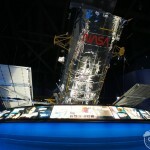 All around the orbiter are exhibits featuring space suits, a full-size rocket engine, a model of the Hubble Telescope, an RV used as a crew transporter and even a slide for kids that mimics the shuttle’s steep angle of descent during landing. They won’t let adults do it. Bummer. 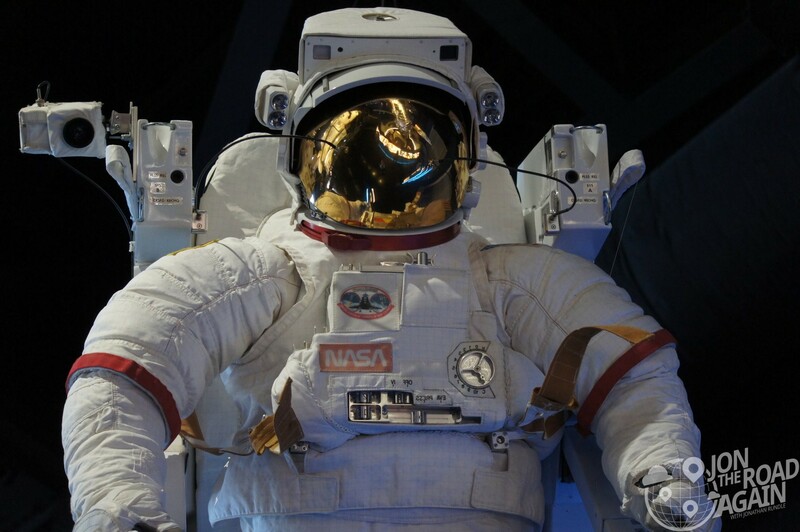 Anyway, besides the shuttle itself, the coolest exhibit is actually a simulated launch. Basically, they take about 25 people at a time into a simulator that moves around on hydraulic pistons and has a video screen at the front. 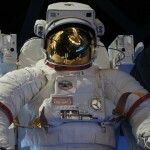 You go in, buckle up and they run an audio/visual presentation to make you feel like you’re counting down to launch. Once you’re go for liftoff, the cabin pitches back to simulate the G forces of a shuttle launch. Combined with the video screen and powerful sound system they brought smiles to the faces of everyone in my group. Six shuttles were built. The first, Enterprise, was built for Approach and Landing Tests and had no orbital capability. Four fully operational orbiters were initially built: Columbia, Challenger, Discovery, and Atlantis. Of these, Challenger and Columbia were destroyed in mission accidents. 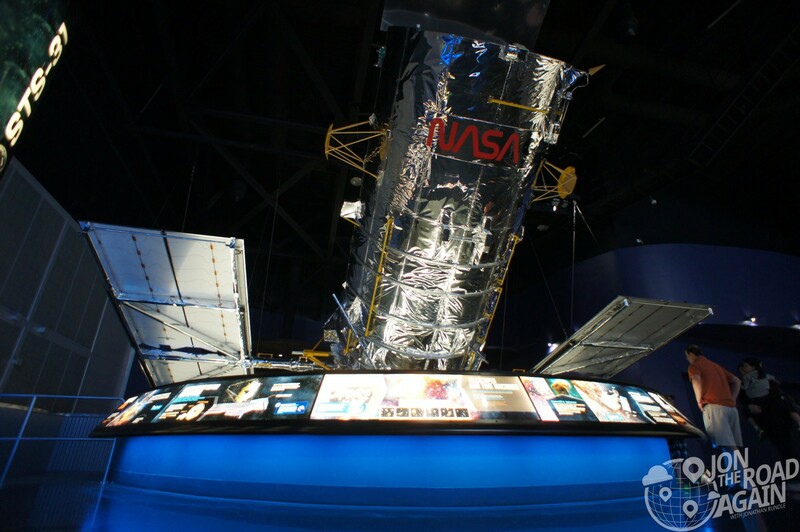 A fifth operational orbiter, Endeavour, was built in 1991 to replace Challenger. Atlantis performed the final mission by the Shuttle program. By the end of its run, Atlantis had orbited the Earth a total of 4,848 times, traveling nearly 126,000,000 mi (203,000,000 km) or more than 525 times the distance from the Earth to the Moon. 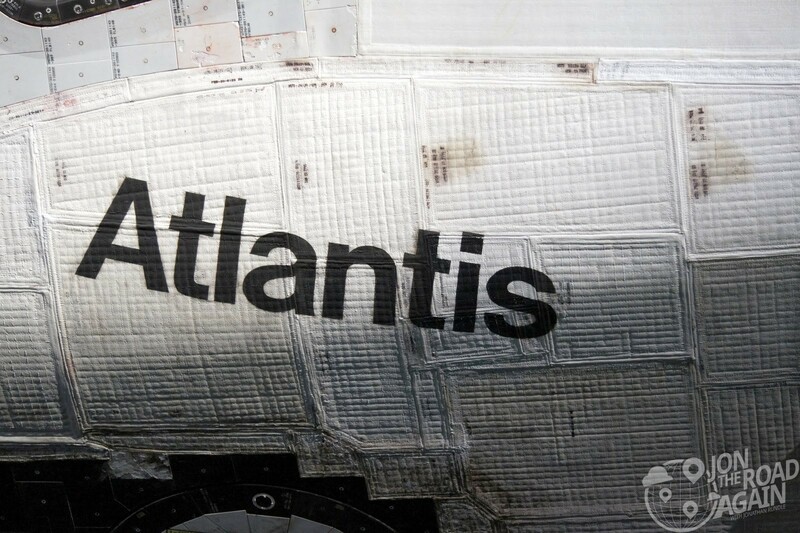 Atlantis was the Shuttle featured in the films Spacecamp, Deep Impact and Armageddon.